Results: 1 to 10 of a total of 181 results. Does raiadus belong in this group? Does kellilynw88 belong in this group? Does phidelep belong in this group? 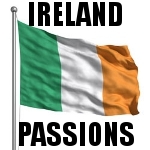 Seanachi I love all things Celtic & the Gael lifeways culture...Irish/Scottish music. Does seanachi belong in this group? Does rineayreefer belong in this group? Im a little Irish! I am irish partly anyway i love the drinking and the green oh i am talking about st patricks day... but no seriously I find irish people have a great sense of humor the ones ive met anyway.. Does talho belong in this group? I have an irish Weiner; its magically delicious I am irish and a redhead enough said. Does jtilden belong in this group? Hi everyone I am 28 years old. My name is Candi. I am of Irish decent. I have a lot of others in me. Does serenitylynn belong in this group? Hey everyone I am just here for friends and maybe Mr. Right. I am kind-hearted and very caring about my friends. Does tamewildcat8625 belong in this group?